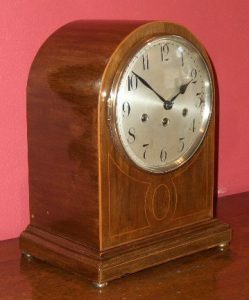 Home / Product / Junghans bracket clock. 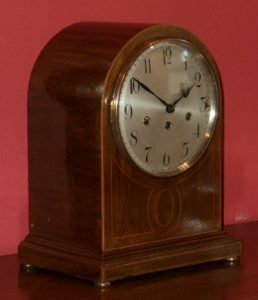 Junghans mahogany cased bracket clock. 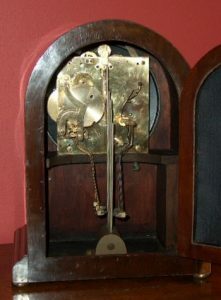 Three train Westminster chime 8 day movement quarter chiming on straight gong bars. Strike/silent lever. 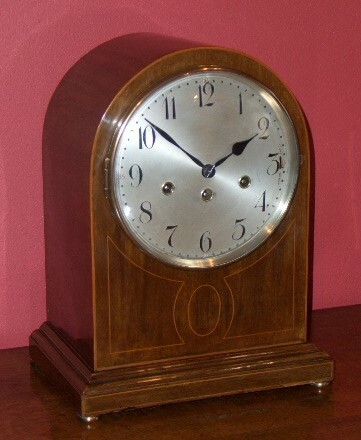 Bevelled convex glass over 7″ silvered dial. Fully restored with one years guarantee. Ref: y0020. 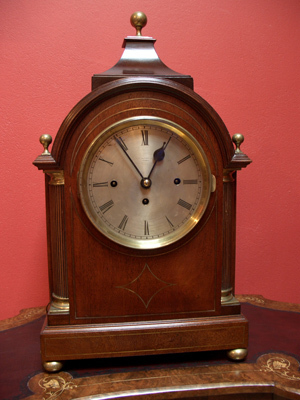 The Junghans clock company started producing high quality clocks in 1861. The company still exists today making high end watches in Germany.